WOMAD have been throwing the biggest and best global parties for 36 years – and this year is no different as the world’s festival today announce their second wave of artists joining the already phenomenal line-up for 2018. Held at Charlton Park near Malmesbury in Wiltshire on 26 – 29 July, this year’s celebration of music and culture from every corner of the globe – and everywhere in between – looks to be the most extraordinary yet. Having thought up his new musical project Mr Jukes on a cargo ship in the North Pacific Ocean two years ago, Bombay Bicycle Club’s frontman Jack Steadman is now bringing his soulful, funk-tinged and jazz-rooted sounds to WOMAD’s green fields; with influences from everything from old-school R&B to modern pop. 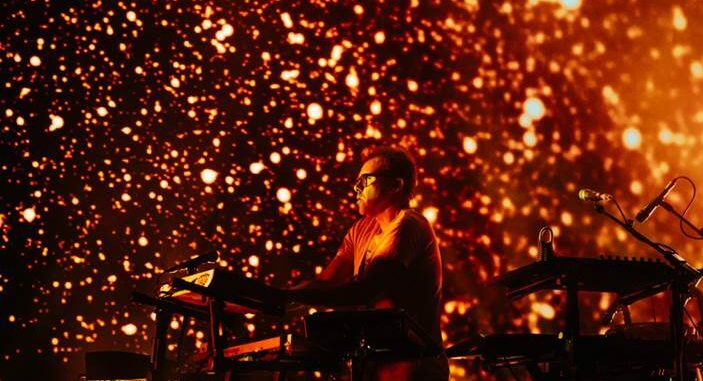 It’s time to rave, as one half of dance music pioneers Leftfield perform Leftism Live head to Wiltshire to celebrate the reissue of their legendary 1995 album Leftism, which garnered critical acclaim. 23 years on, founding member Neil Barnes will perform the iconic record live, complete with a band. Wildly different and beautifully chaotic are the Finnish quartet Tuuletar who will be making their festival debut with their haunting acapella tones, beatboxing-enhanced vocal gymnastics and self-styled folk-hop. Across the border into Spain, WOMAD welcomes back the incredible Amparanoia; fronted by the singer-guitarist Amparo Sánchez, this loose evolving collective have been fusing together Spanish– music styles – bolero, ranchera, son, rumba, flamenco, reggae and straight-ahead pop – for two decades now and are always a popular sight on the WOMAD stage. Also joining the world’s biggest party are Washington DC’s Thievery Corporation who broke new ground during the ’90s with their globally inspired chilled grooves and subsequent collaborations with the likes of David Byrne, Anoushka Shankar and The Flaming Lips. Their inspiration comes from all over the map, and this electronic music will bring that global fusion sound to WOMAD for the very first time. Also making their WOMAD debut, and first UK show, Hashmat Sultana, the singing Sufi sisters who won India’s biggest talent show with their intertwining, weightless voices that reach such great heights and now their lives have changed forever. The astonishing Ethio-American vocalist known simply as Meklit whose album When the People Move, the Music Moves Too was listed in The Times top 100 albums of last year will be gracing the WOMAD stage this year. A founder of the Nile Project and a TED Global fellow, Meklit’s irresistibly soulful performing style and pitch-perfect fusion of jazz, folk and East African influences are nothing short of breathtaking. As their name suggests, Havana Meets Kingston focus their attention on a very specific part of the map – the corner of the Caribbean occupied by Cuba and Jamaica. The cross-island results, combining son and salsa with reggae and dancehall – are absolutely divine. Back on the mother continent of Africa, Daara J Family have been at the forefront of African hip-hop since their explosion on the scene around 15 years ago. They brilliantly fuse lyrical invention with sharp social messages to hard-hitting effect. But a WOMAD event is always about the music you don’t yet know, the artists you’ve yet to discover. And there are plenty of new musical adventures waiting; so check them up here for more info.